A car accident can leave you in a world of hurt. Quite often the pain and suffering may just be the beginning of the troubling ordeal you’ll endure while trying to get your world back to normal. A Muskogee car accident attorney at Wirth Law Office-Muskogee can be by your side to navigate the tricky, confusing and often cold world of motor vehicle wrecks. As soon as you’ve been in an accident it can seem like it’s you versus the whole world. That’s because there are many people working from the second you’ve been hit to try and get you to settle quick in hopes they can cut their losses. The other guy’s adjuster may see your damaged car and offer up a check for the damages. Before you settle, consider talking with a Muskogee car accident attorney who will protect your interests. A Muskogee attorney can help you determine the full extent of financial damages you may be owed. If you’ve been involved in a car accident on any roadway here in Muskogee County or elsewhere in Oklahoma, it’s important to remember to make sure you and those involved are safe. Call 9-11: That will get accident investigators on the way along with medical assistance. It’s an important phone call because it’s the first documentation of the accident. It’s crucial that you report any injuries that you or your passengers might have to the authorities. If you’re unsure, ask to be checked out on the scene or at the hospital by medical staff. Plus, the color and vehicle type, license plates, name of other driver and any possible witnesses can be passed along to the dispatcher. Collect Evidence: If you’re able to snap photos with a camera or smart phone that will be extremely helpful for any possible legal action. Take a lot of pictures because it will give those not at the crash site an accurate description of the scene. 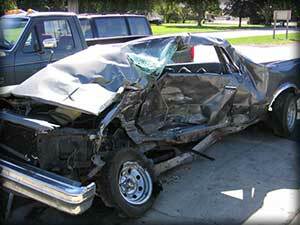 It depends on the severity of the injuries and the jurisdiction as to the type of the accident mapping. Don’t Sign: Don’t sign anything that you don’t have to when it comes to the car accident. Do what the police officer tells you to do, but be cautious of anyone else at the accident scene. They could be from the other driver’s insurance company looking to possibly catch you at a weak moment in hopes of getting you to sign a statement. Don’t Implicate Fault: It’s human nature to want to apologize for an accident or mistake. There could be facts that could come along later that could prove the wreck was not your fault. That’s why don’t say you are sorry to anyone at the crash site. If indeed, it was your fault then there is plenty of time later to tell everyone that you are sorry. Contact a Muskogee car accident attorney at the Wirth Law Office – Muskogee for a free consultation today at (918) 913-0725 or call toll-free at (888) 447-7262. If you prefer to contact us by email, use the form at the top of this page or email firm@muskogeeattorney.pro.